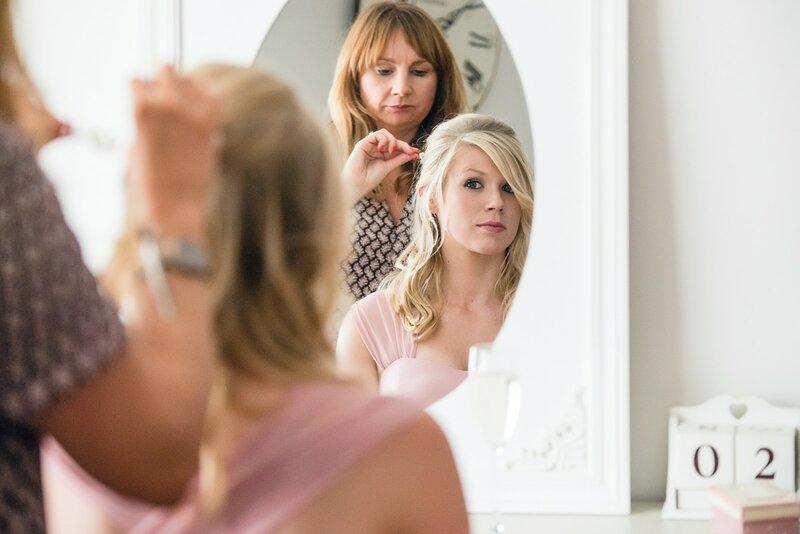 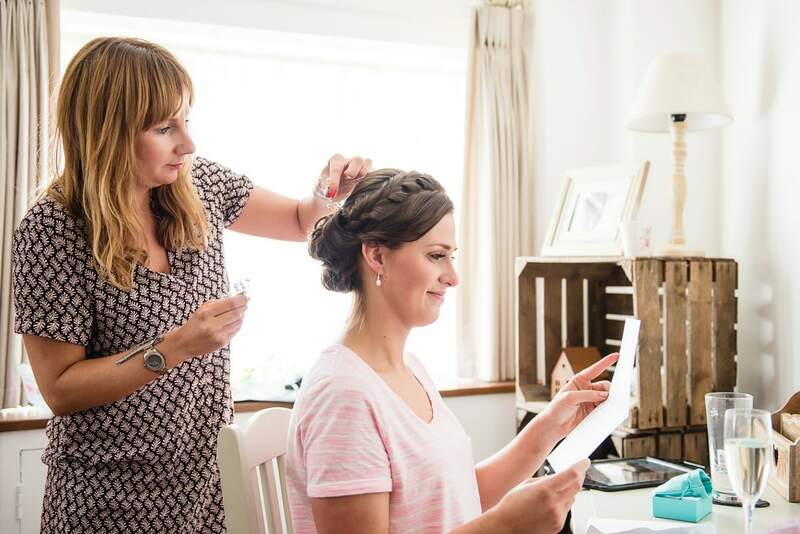 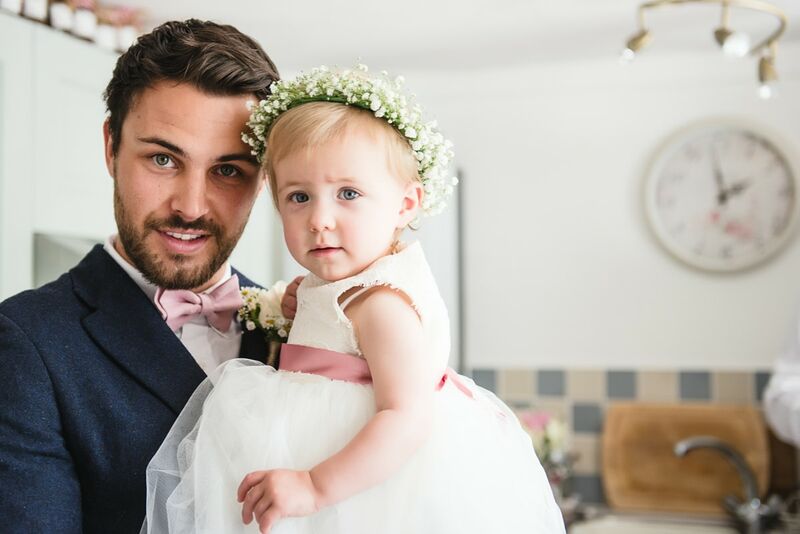 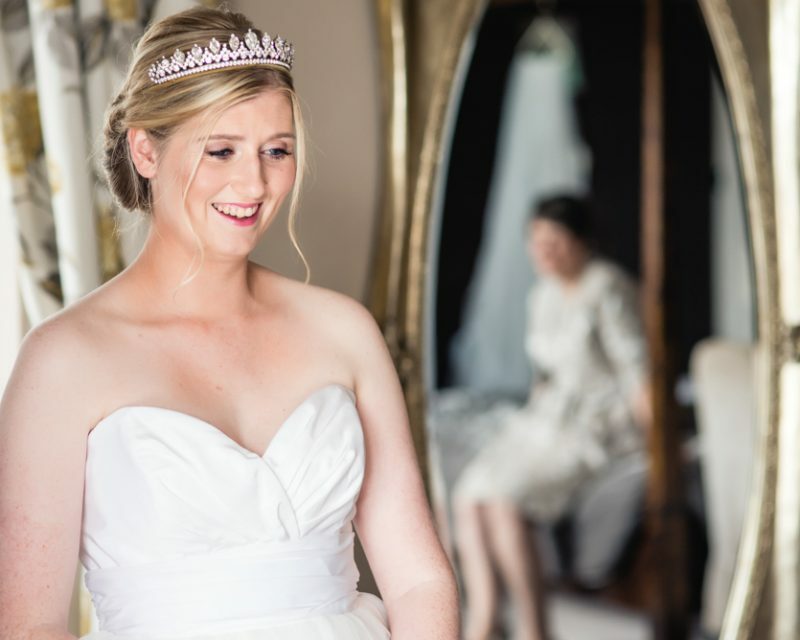 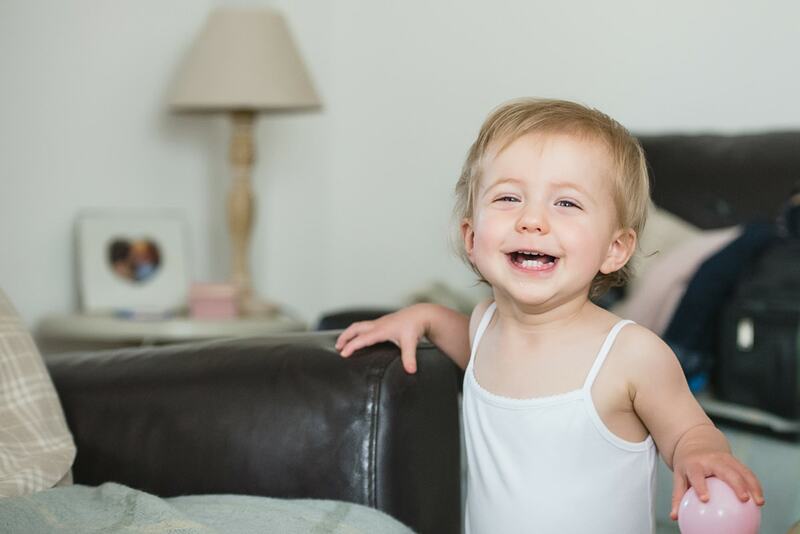 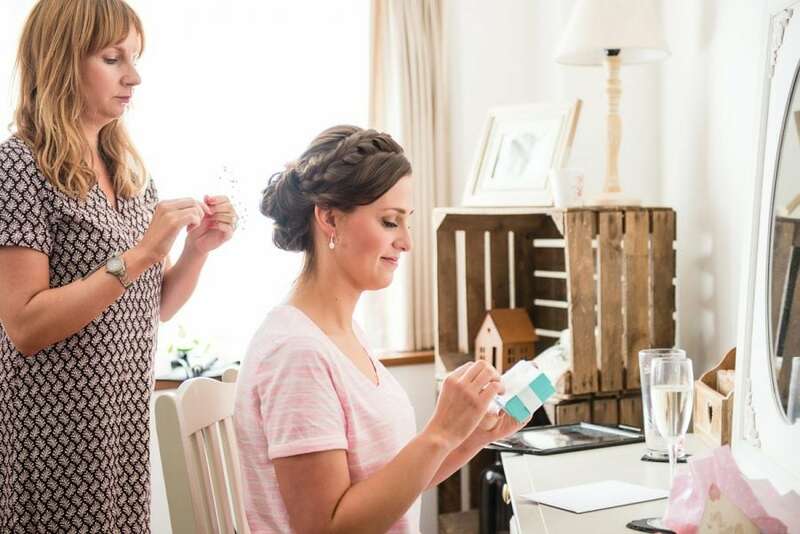 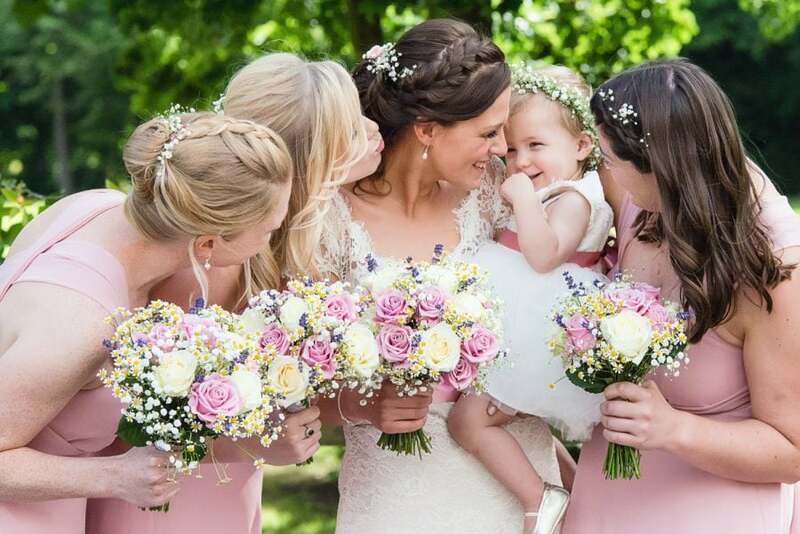 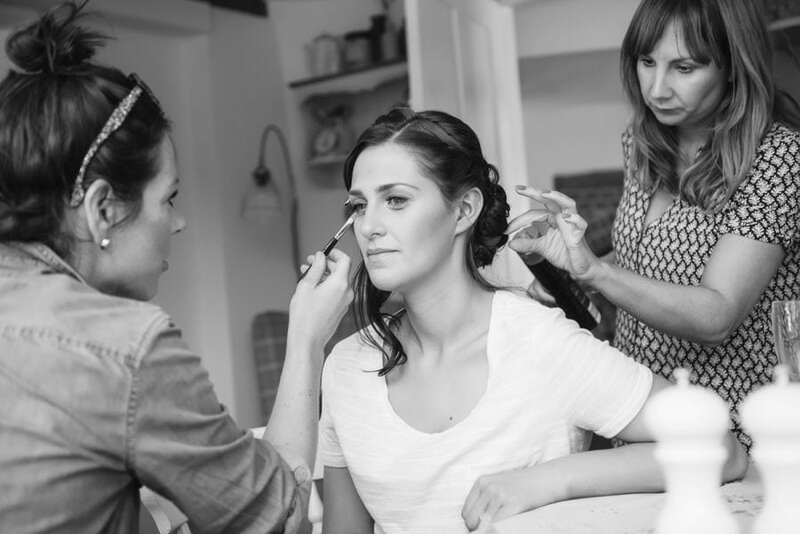 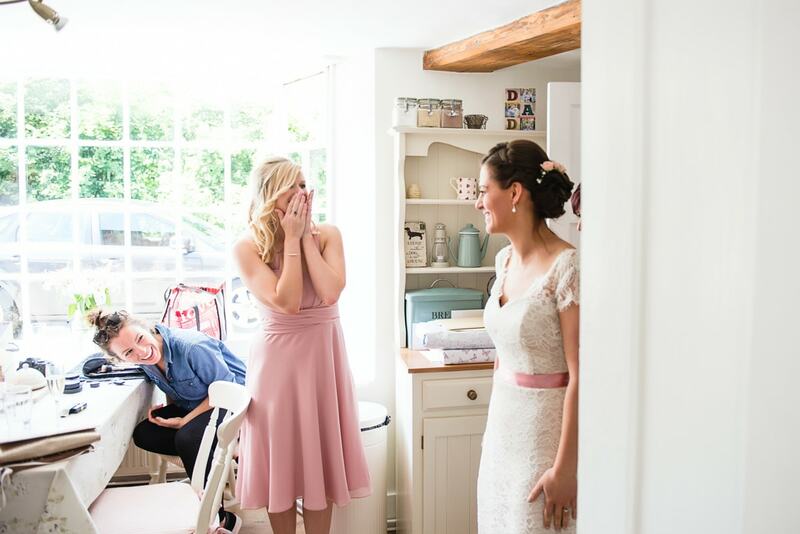 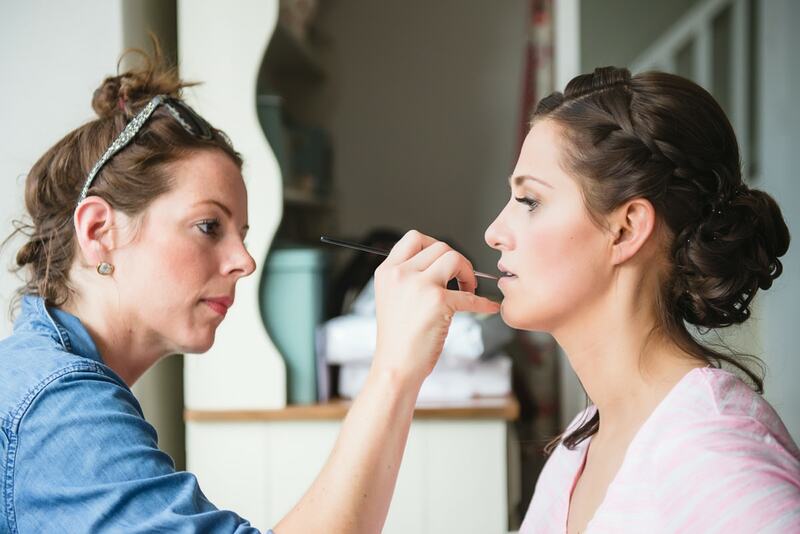 Preparations began at Emma’s picturesque home in Harpenden where she was getting ready with her mum, bridesmaids and gorgeous little girl. Despite a rainy start, the day preceded to be warm and sunny. 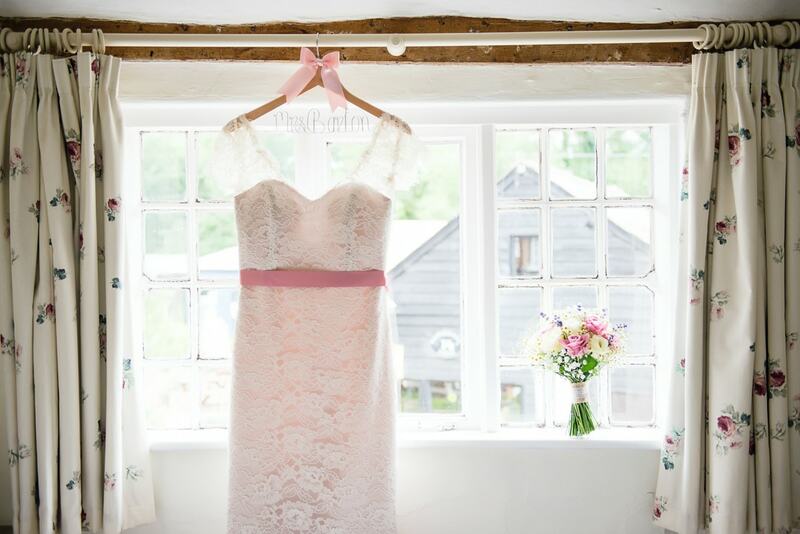 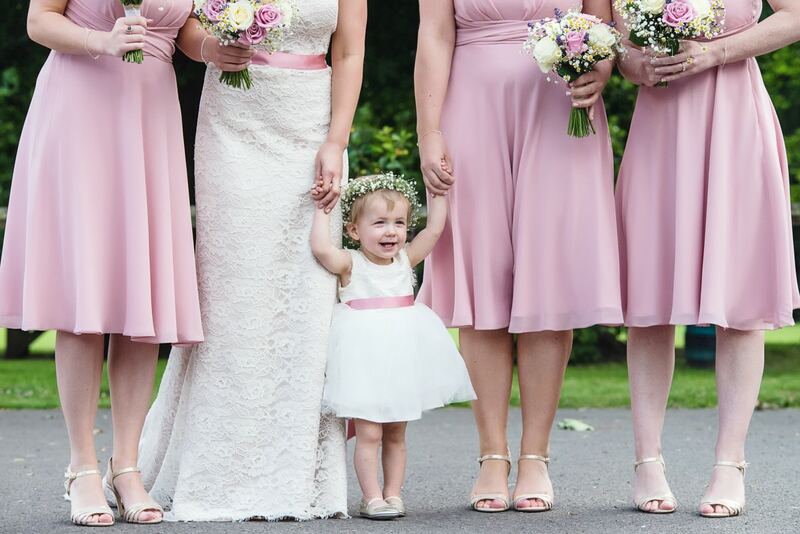 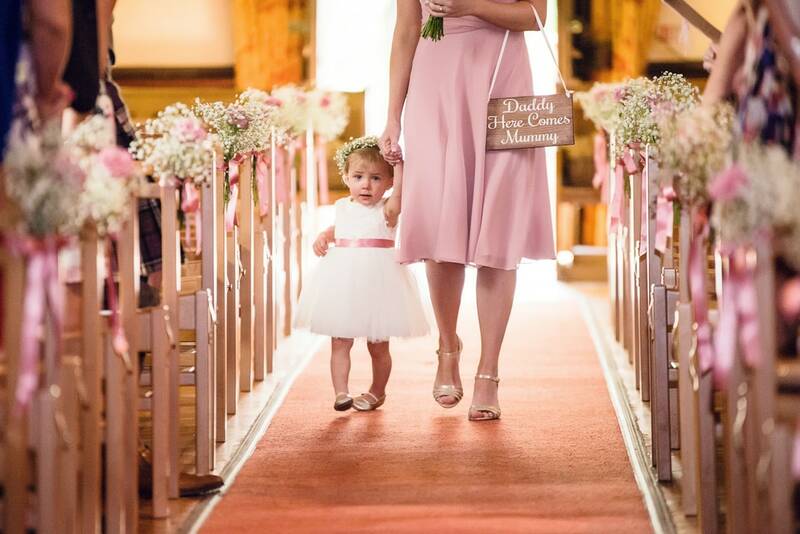 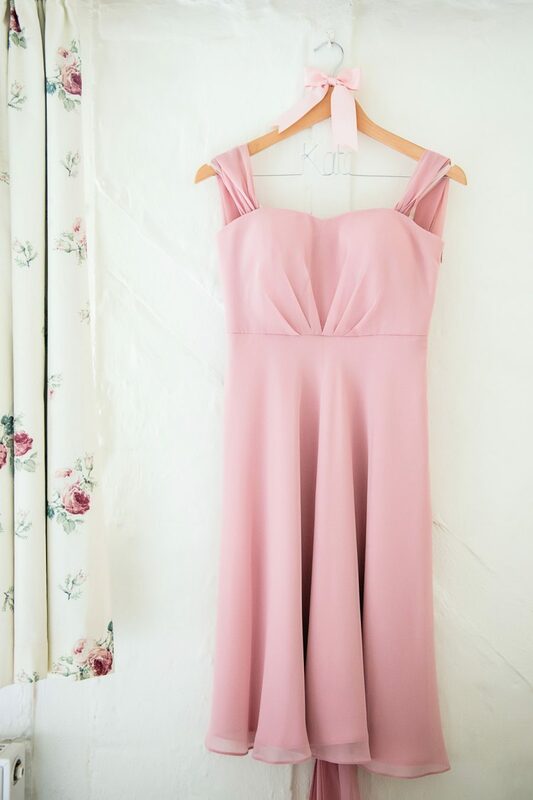 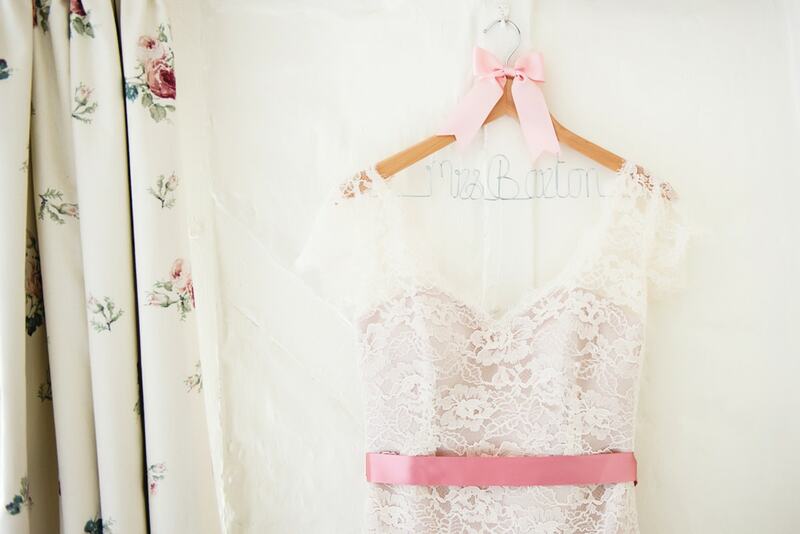 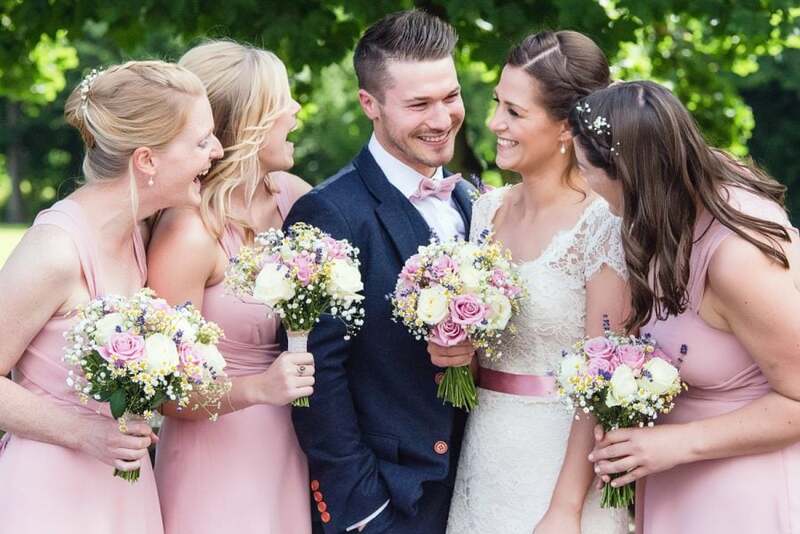 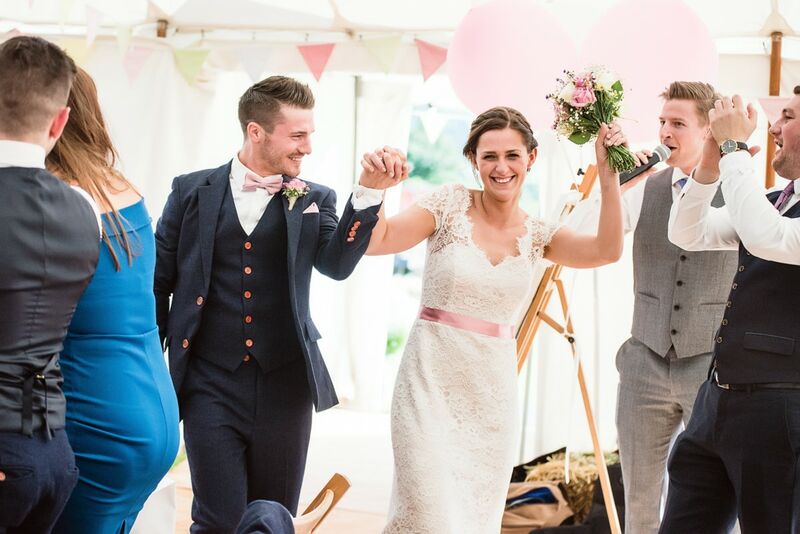 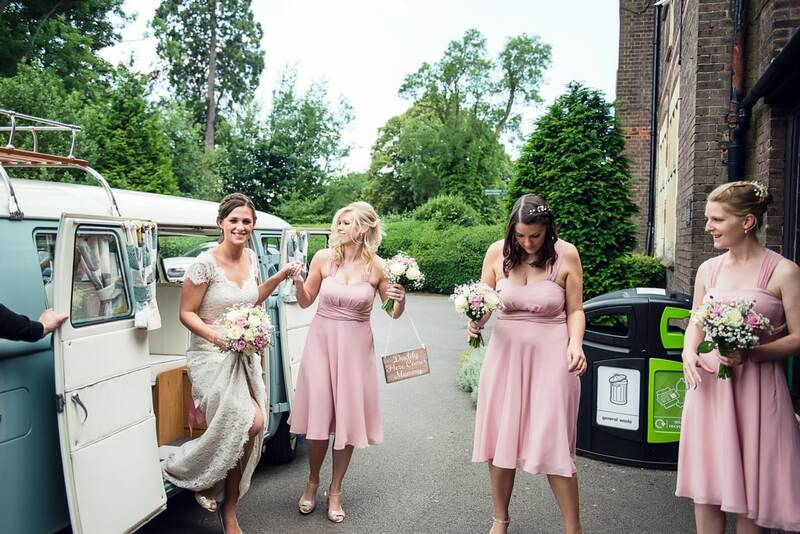 Emma wore a classic lacy dress with a pink silk ribbon alongside a colourful pink bouquet and matching heels. 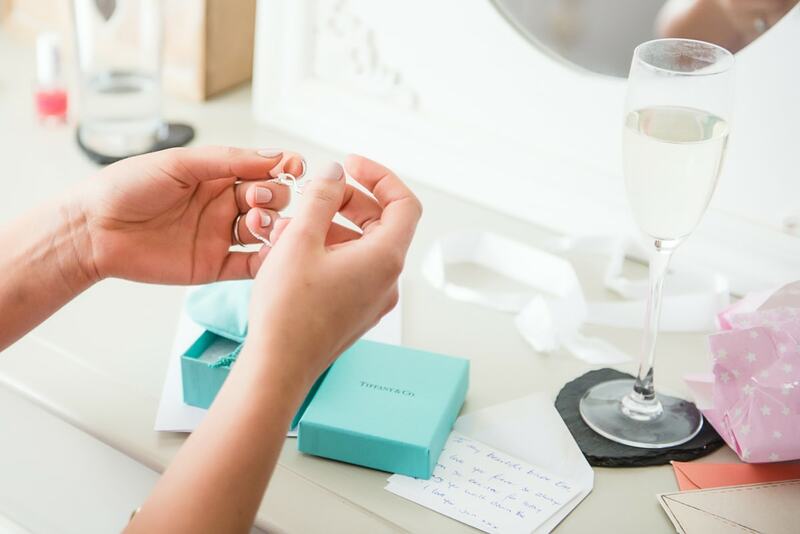 Emma managed to hold back the tears when she received a little blue Tiffany box with a note from her husband to be. 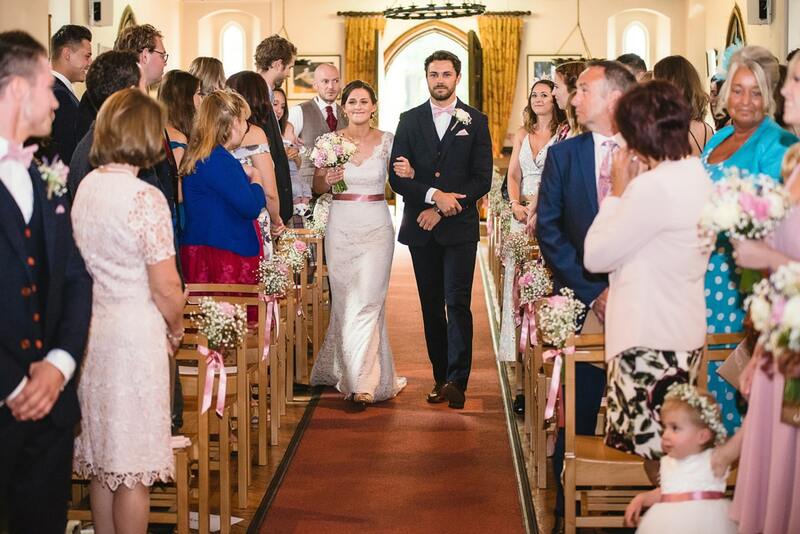 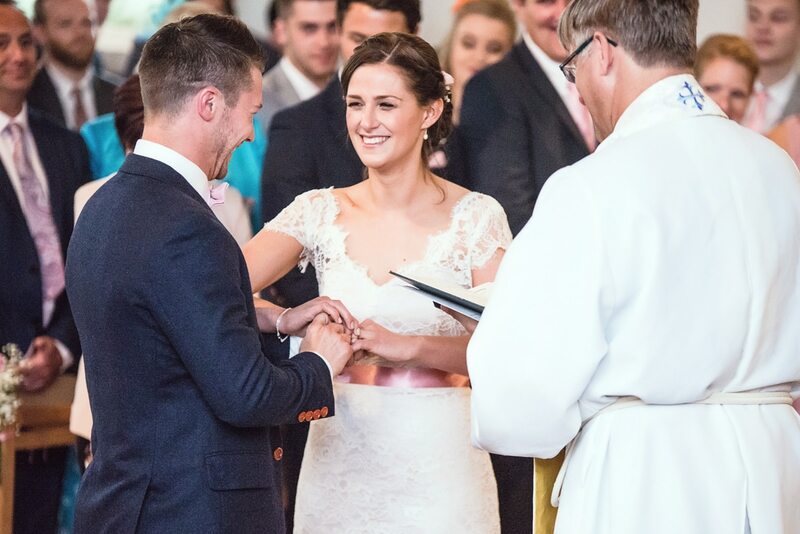 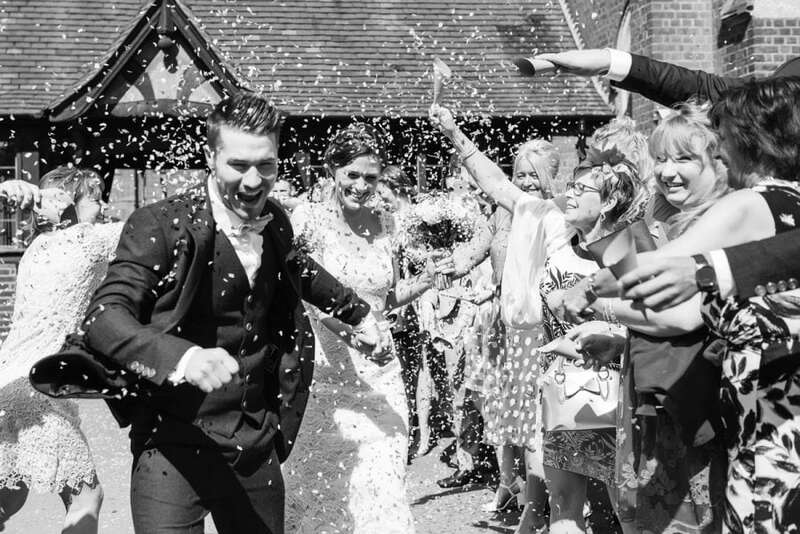 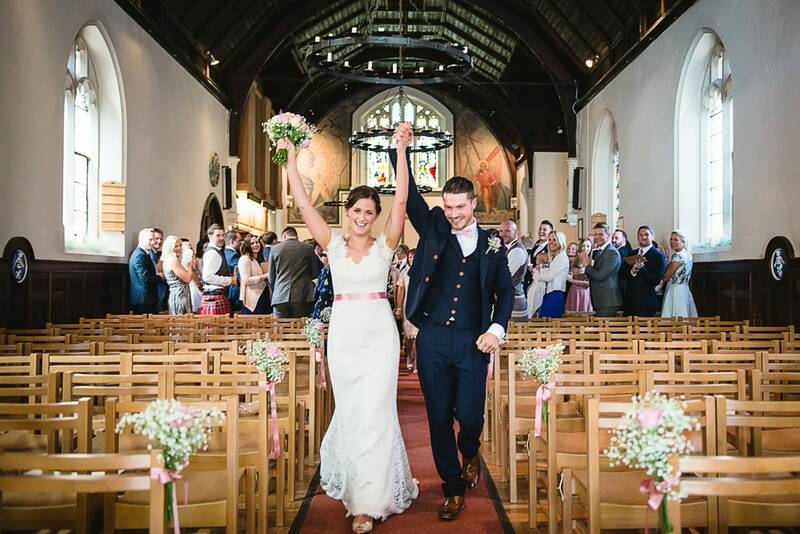 The ceremony took place in a beautiful chapel at St George’s School in Harpenden. 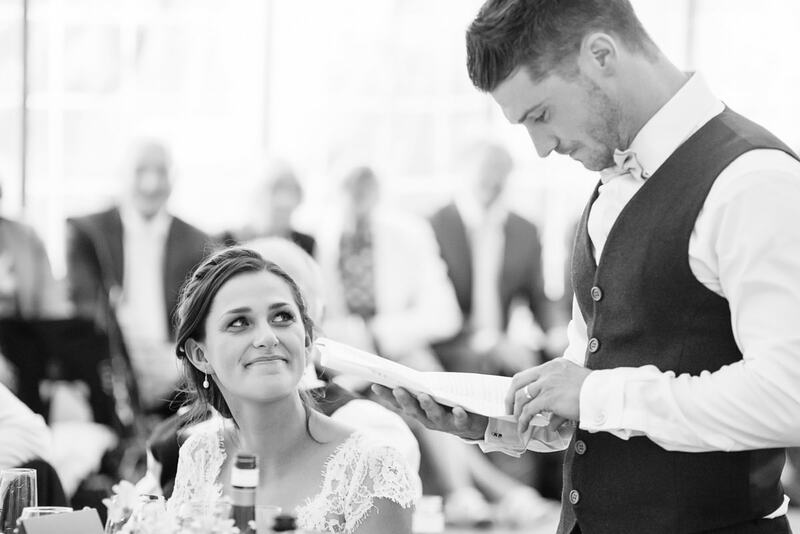 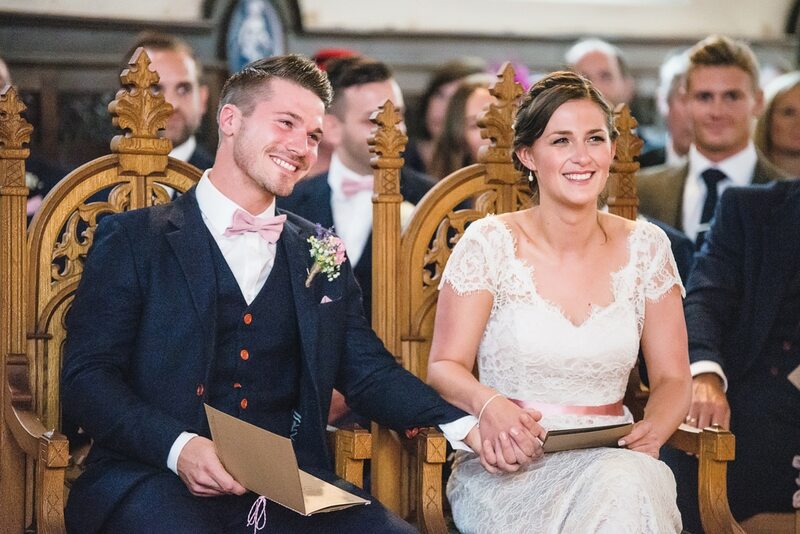 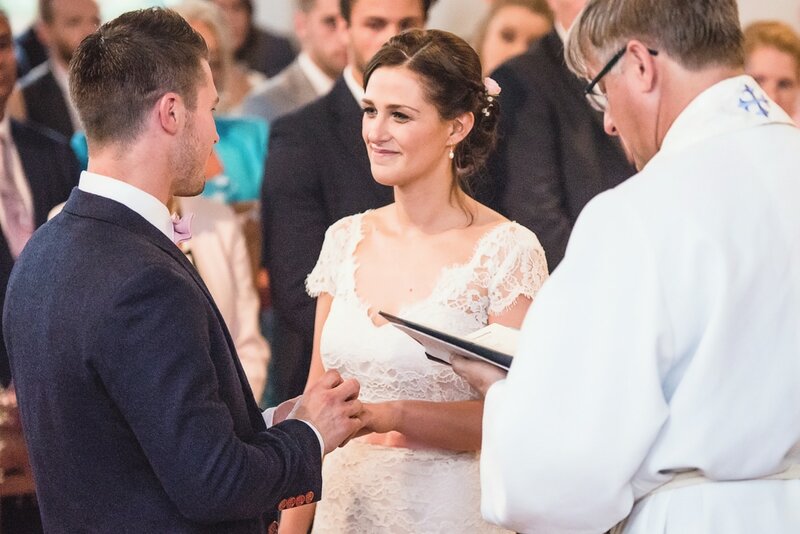 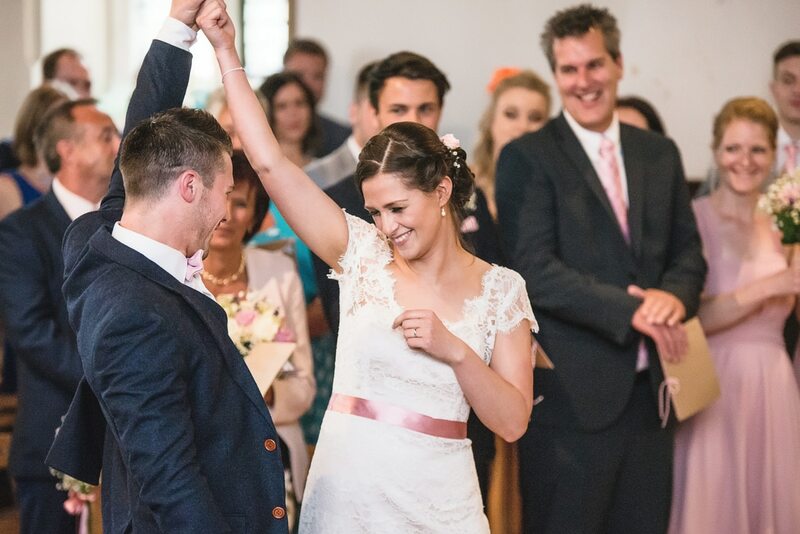 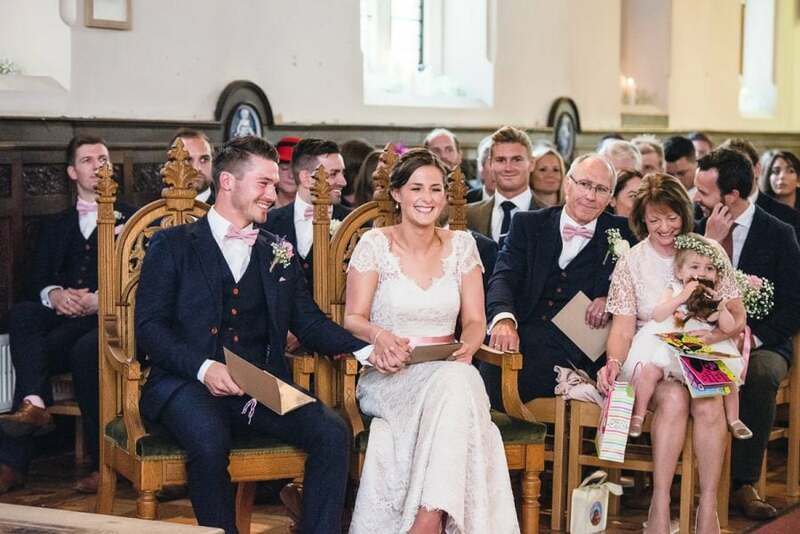 Emma’s brother walked her down the aisle and the ceremony was filled with emotion. 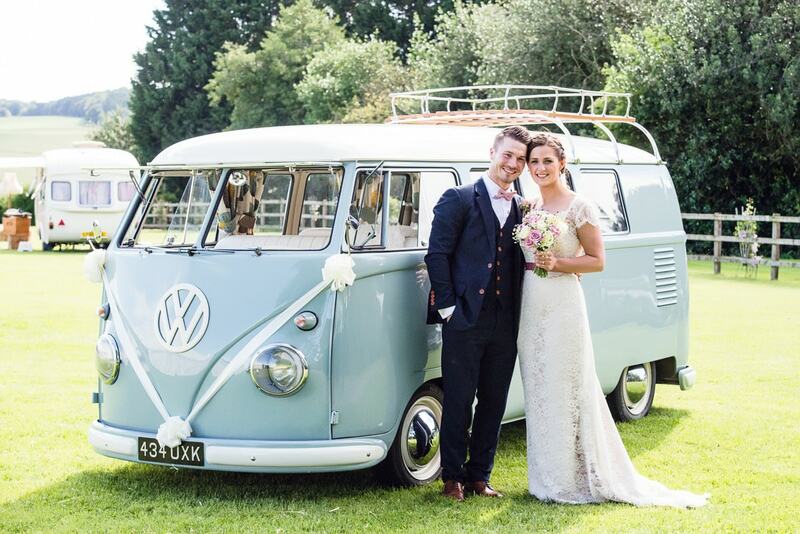 After a few group photos, the guests congregated to wave off the bride and groom in their, very stylish, duck egg blue VW Camper. 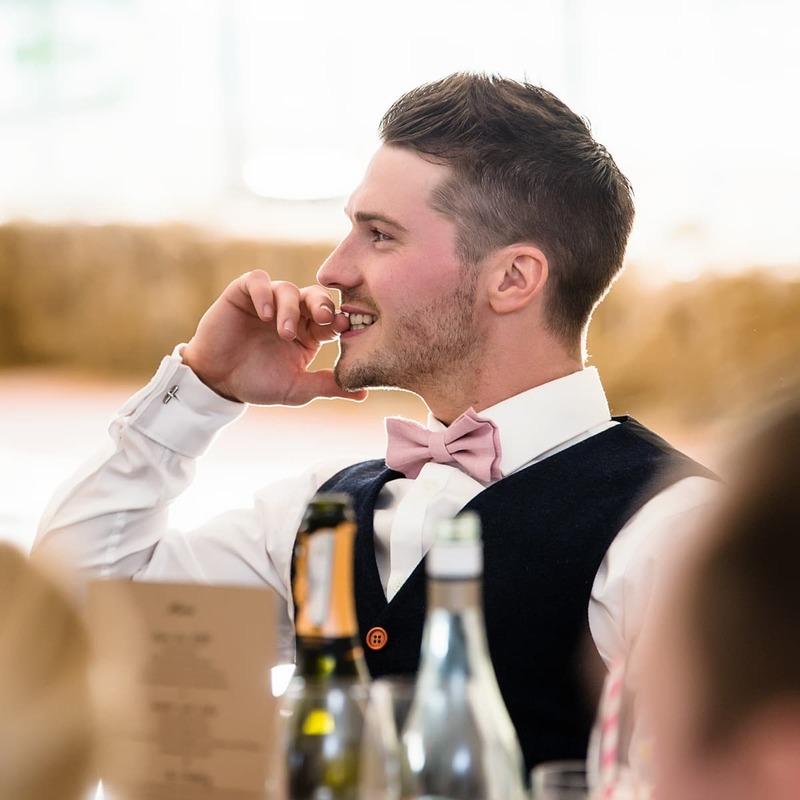 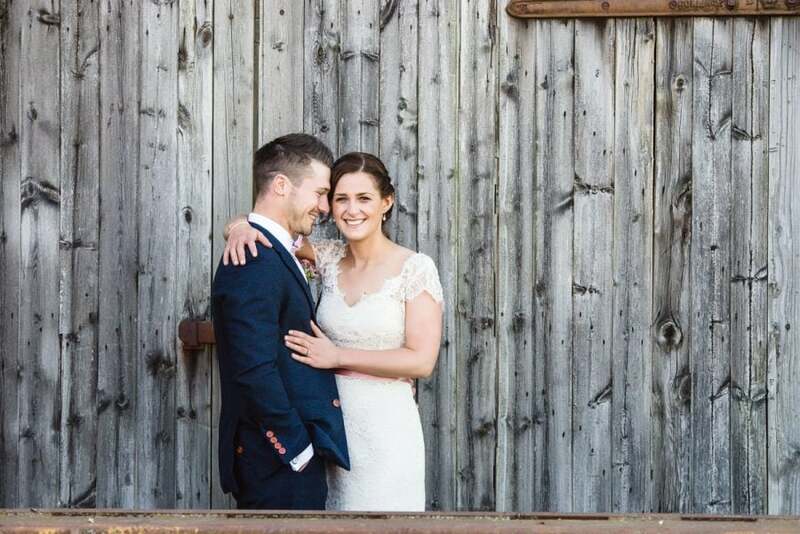 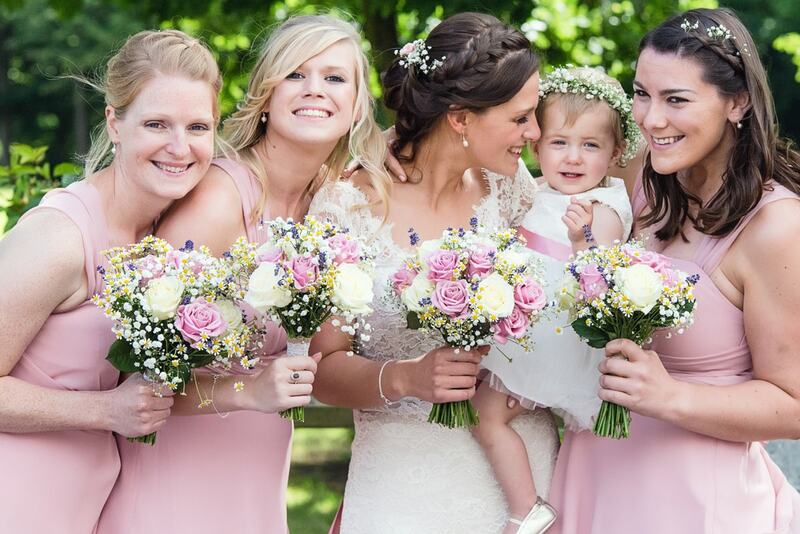 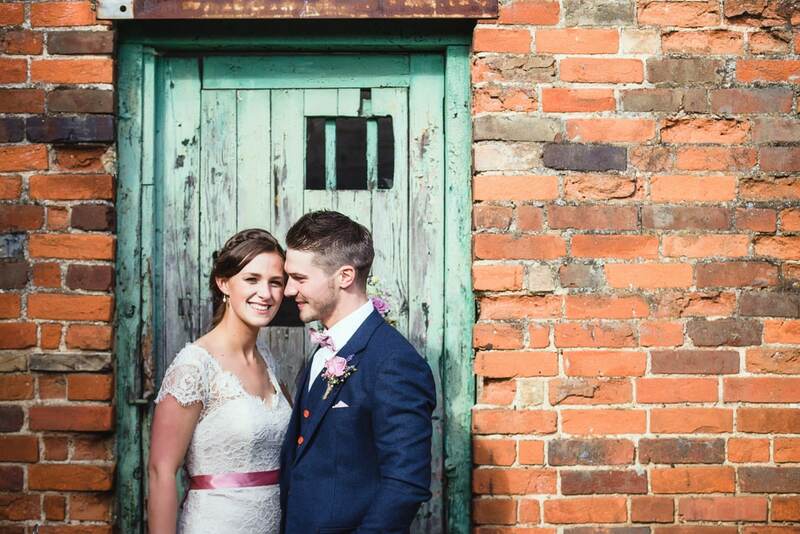 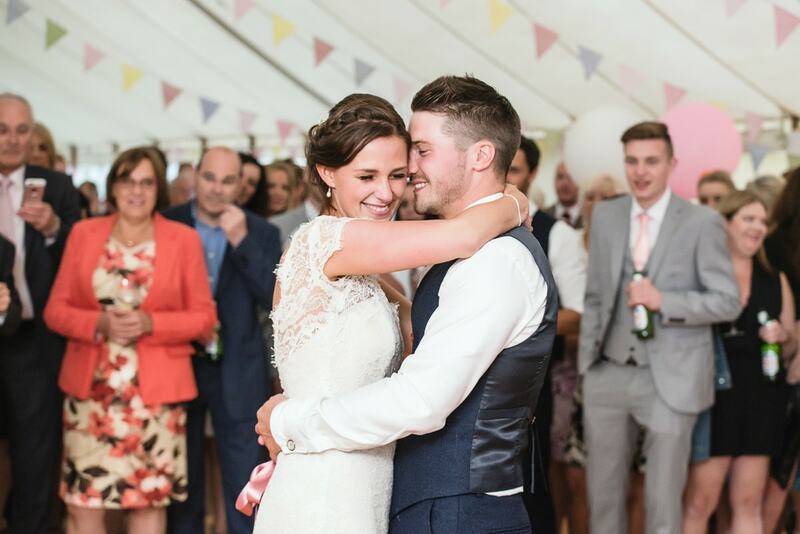 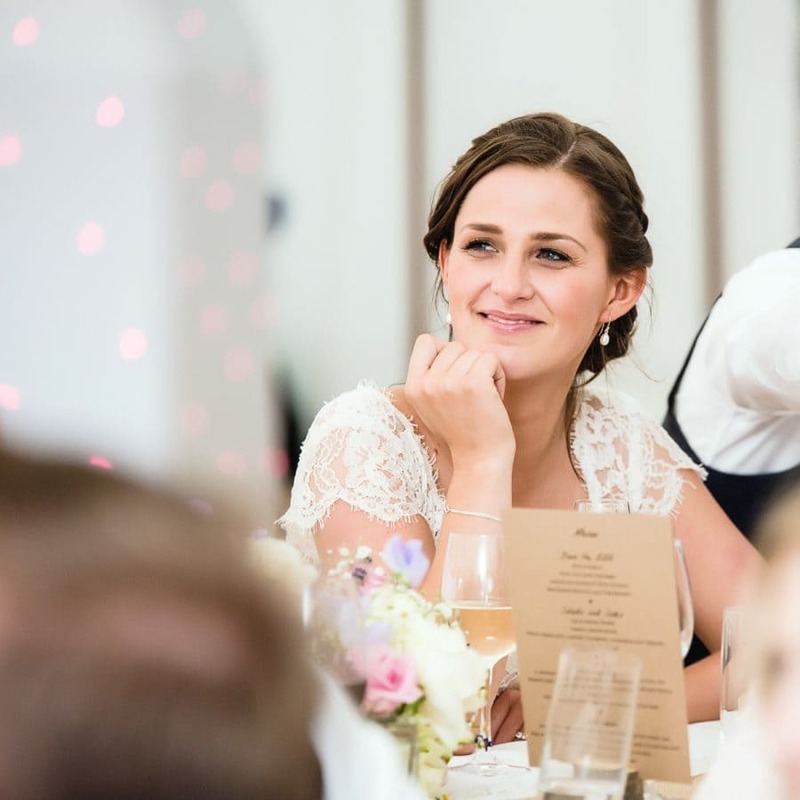 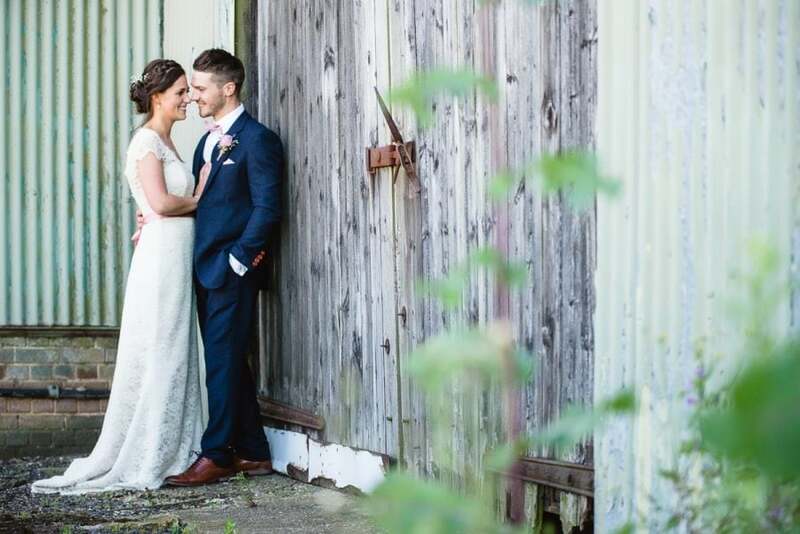 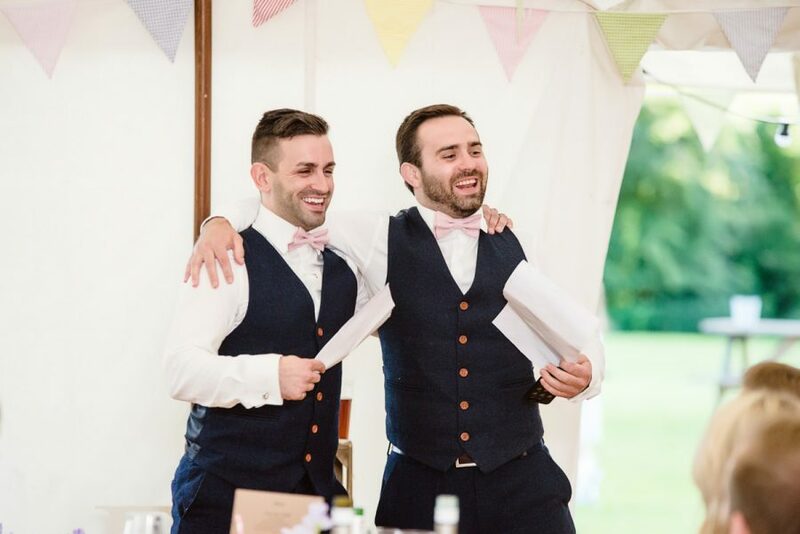 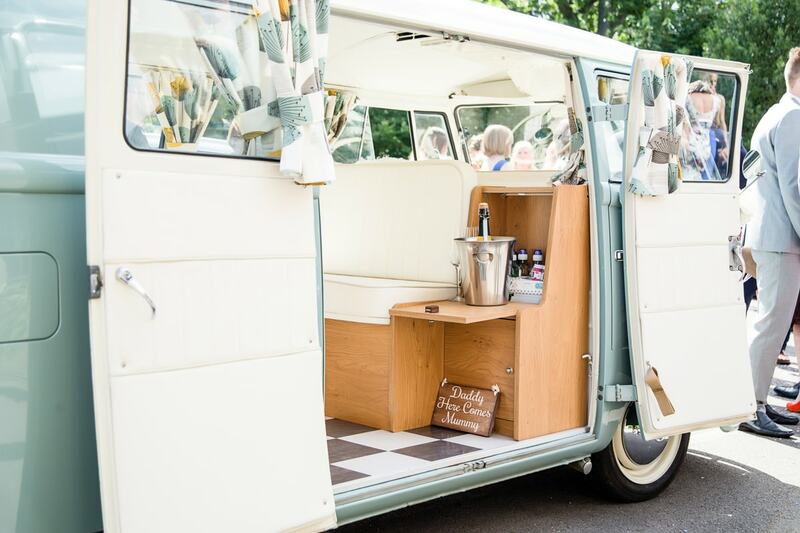 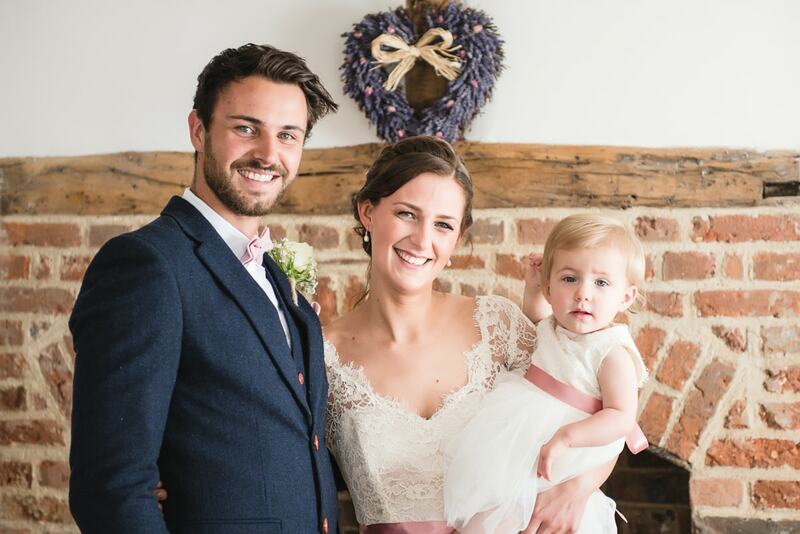 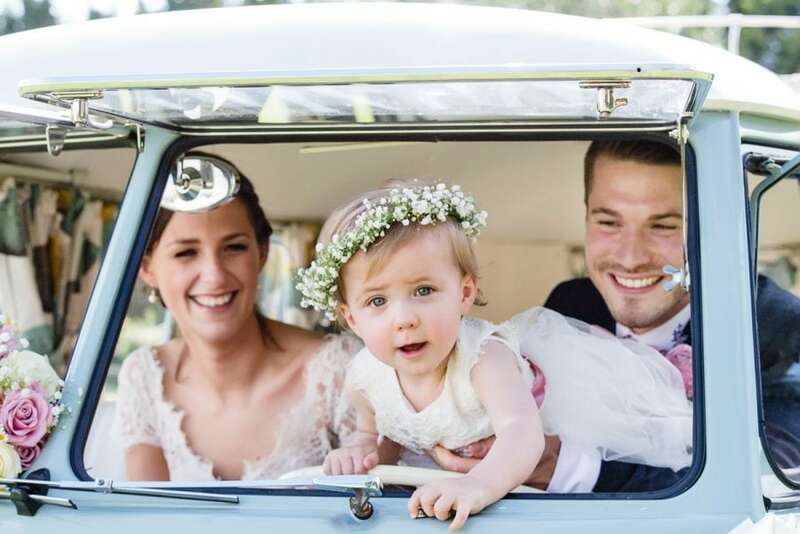 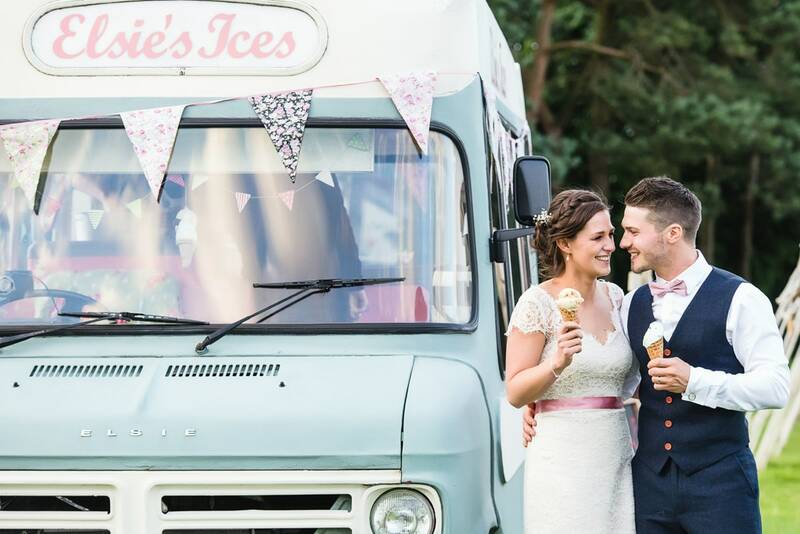 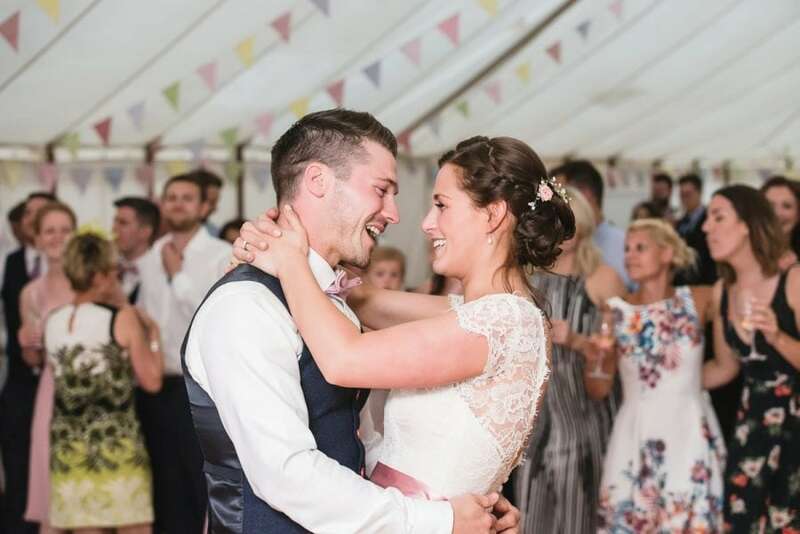 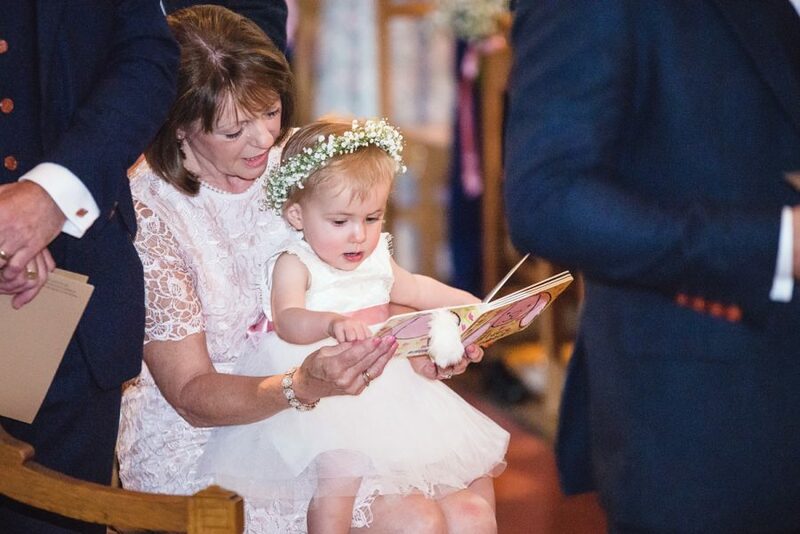 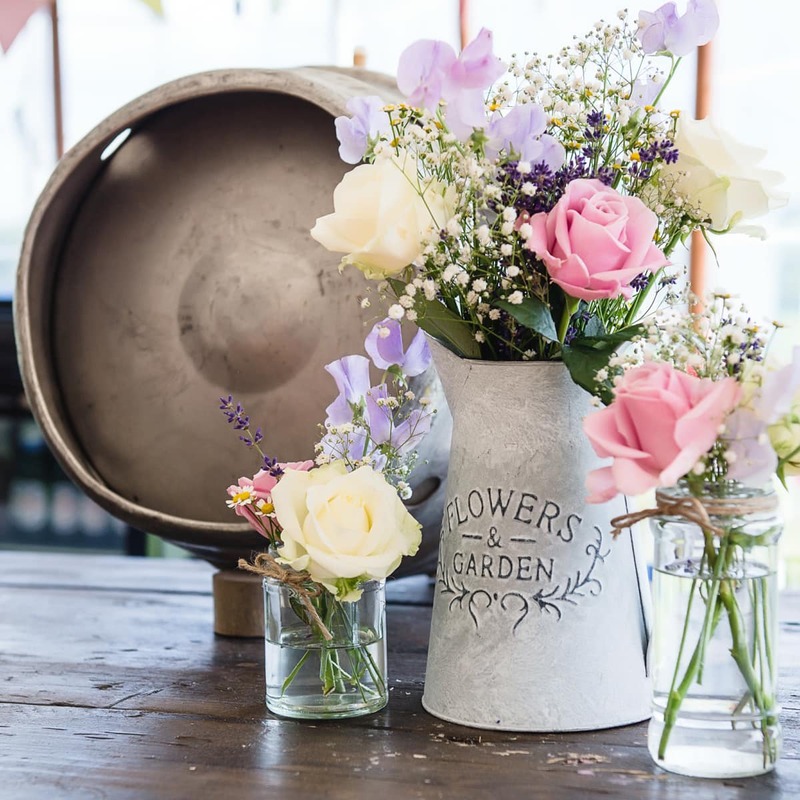 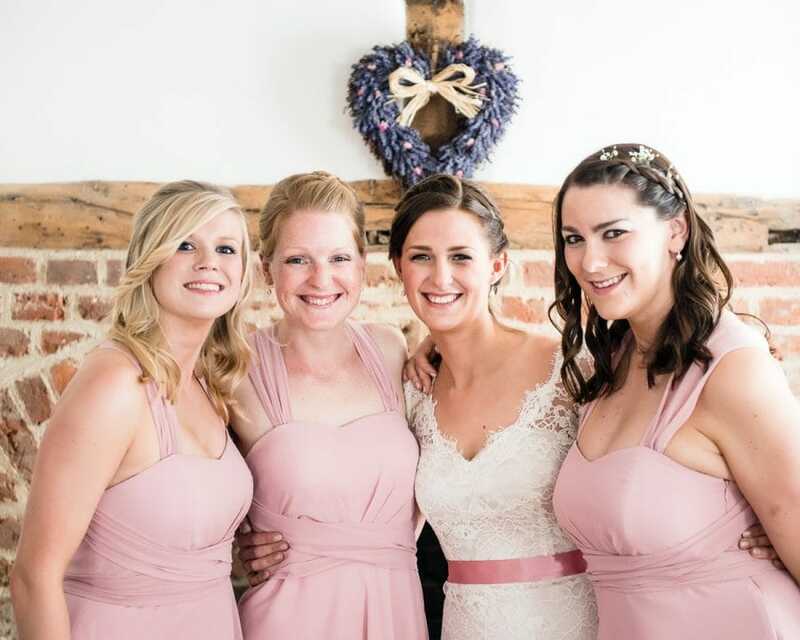 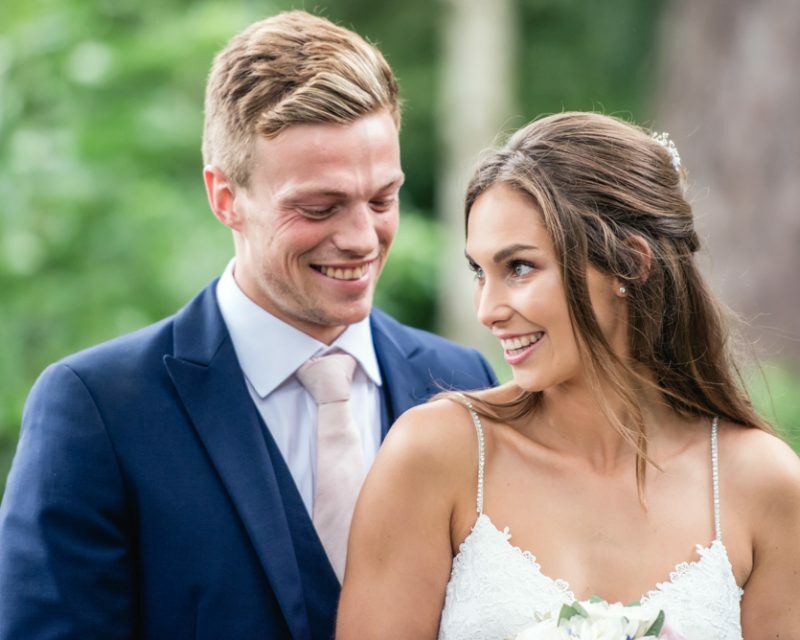 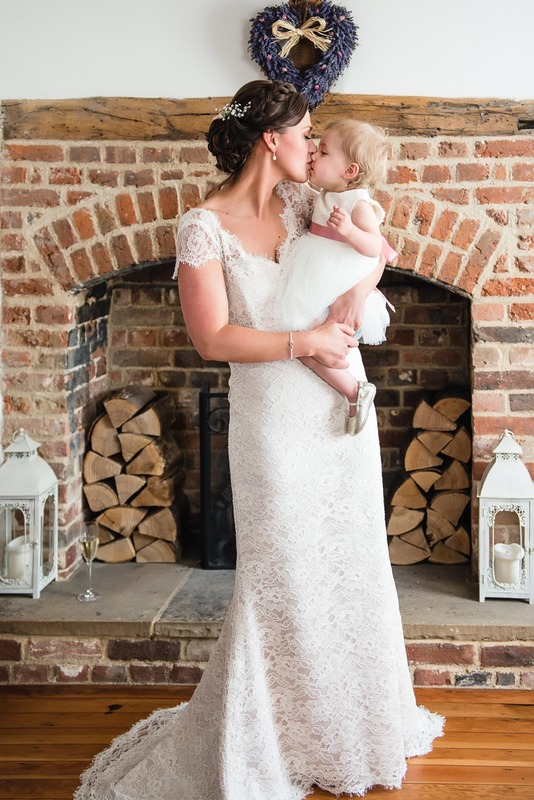 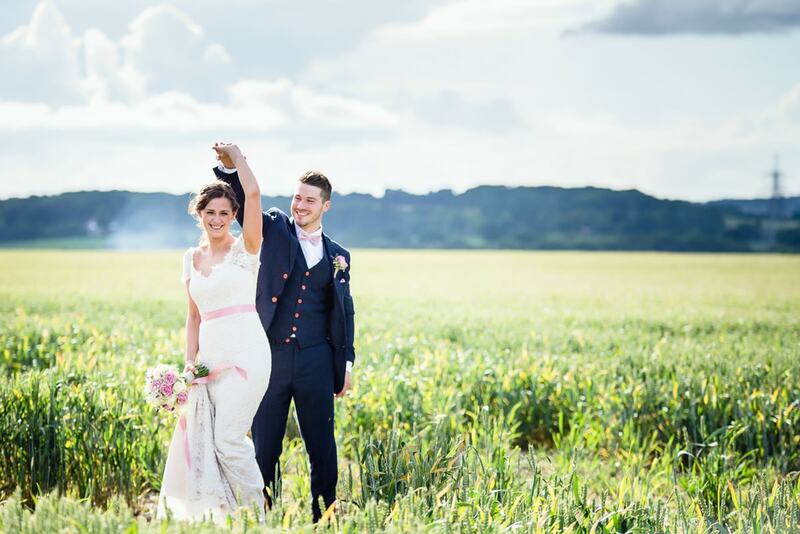 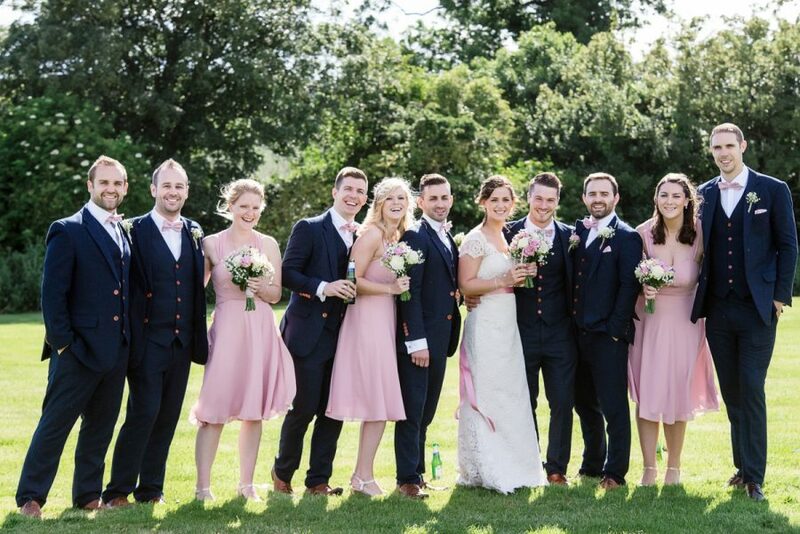 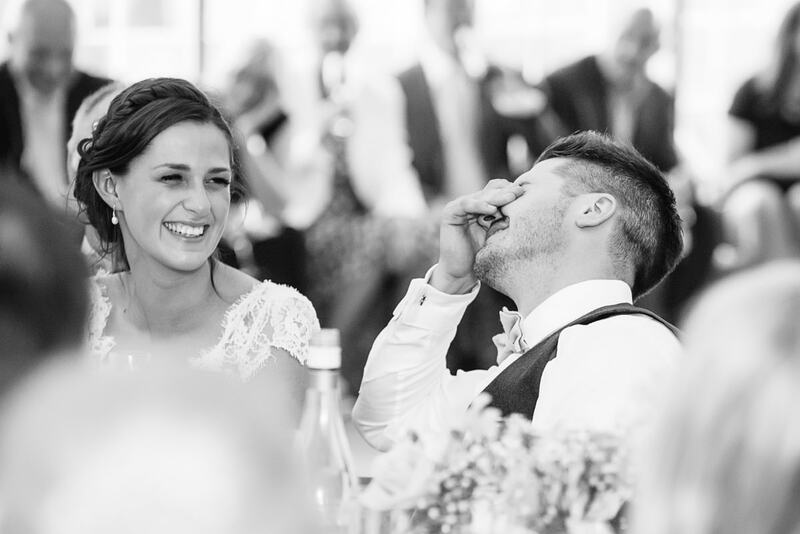 The reception took place at Almshoebury Farm, a wonderful venue in the heart of the Hertfordshire countryside. 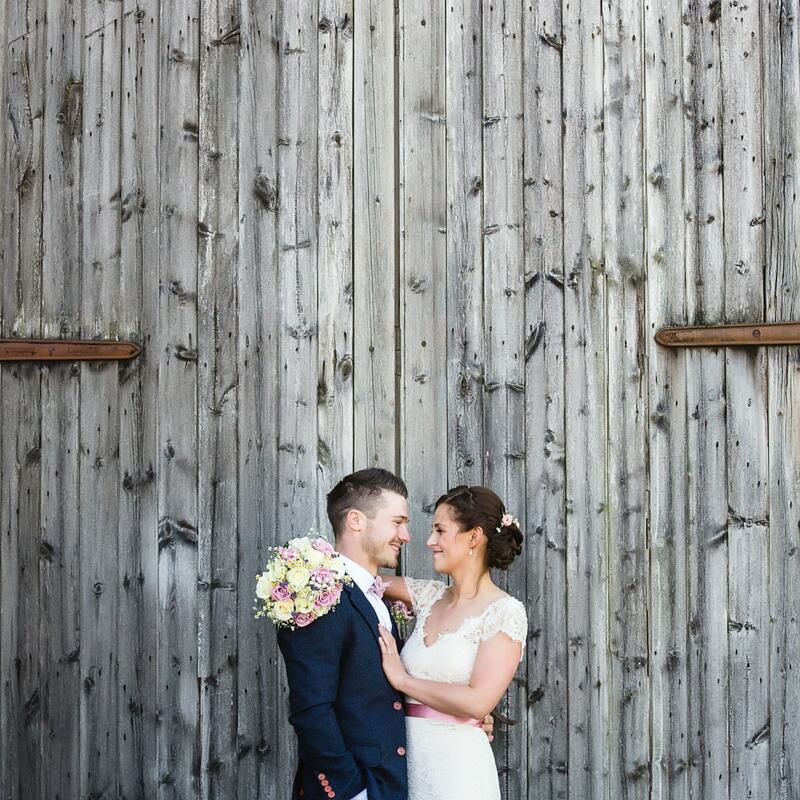 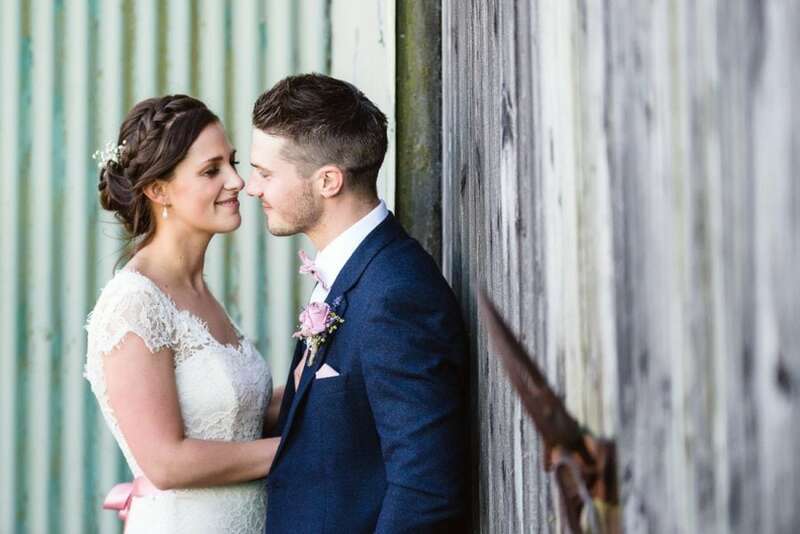 The rustic barns and vast farmland provided the perfect backdrop for couple photos. 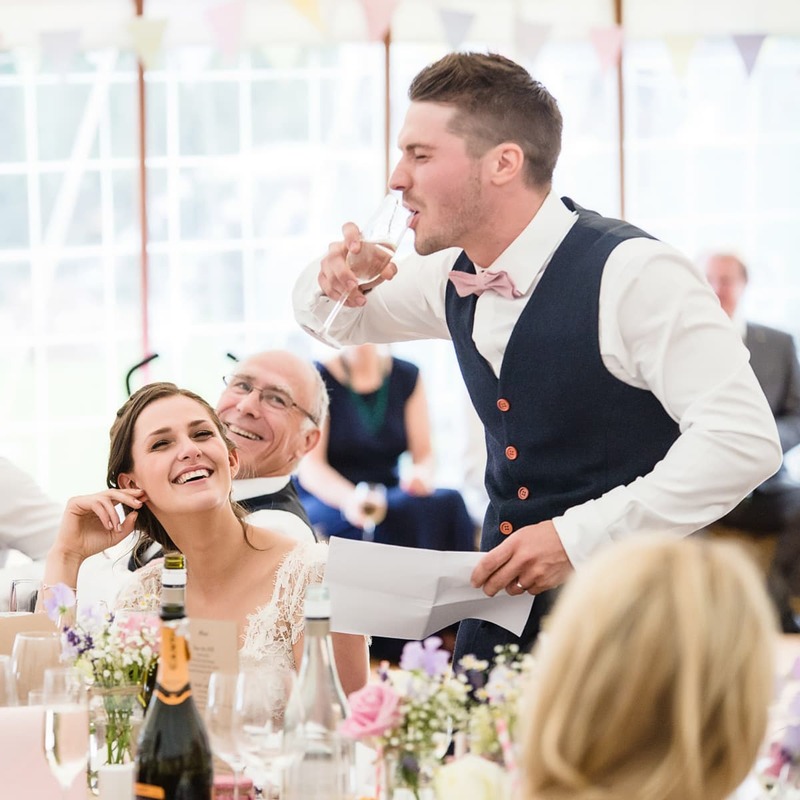 Emma and Jon had also arranged some great garden games to keep their guests entertained. 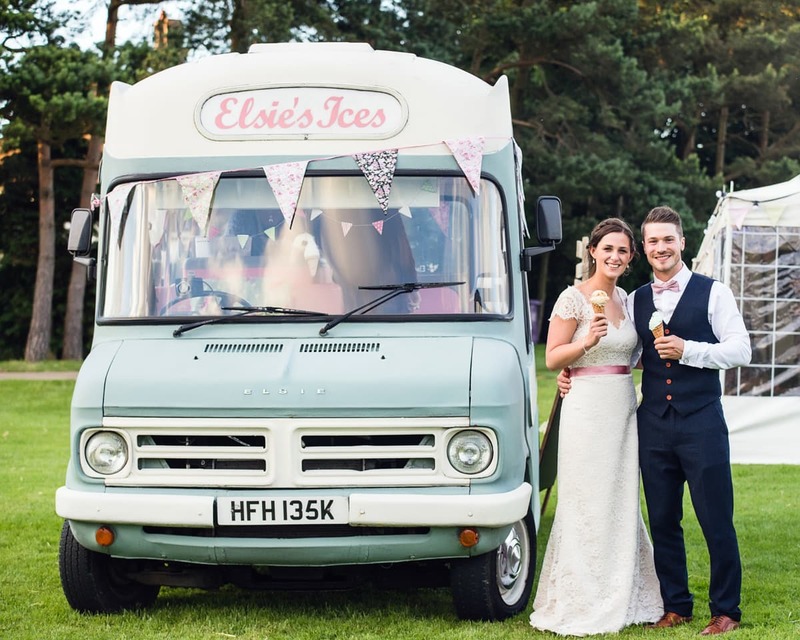 There was croquet, welly wanging, space hoppers, giant Jenga and even an ice cream van! 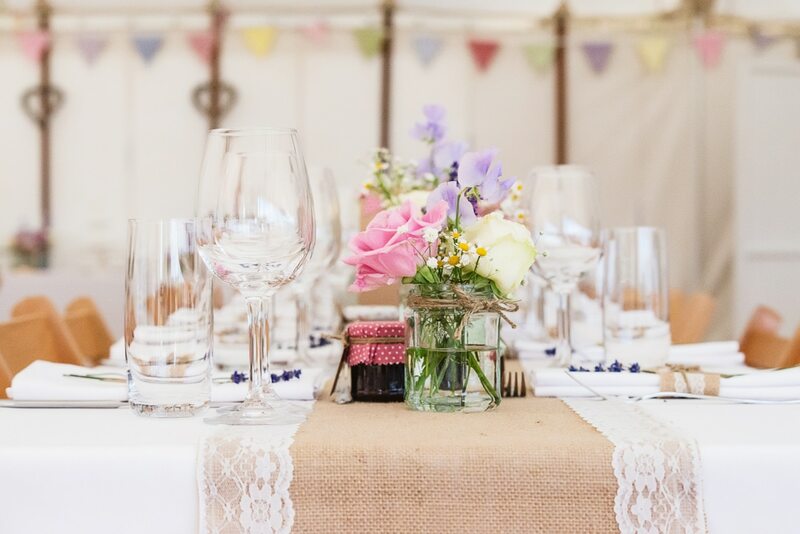 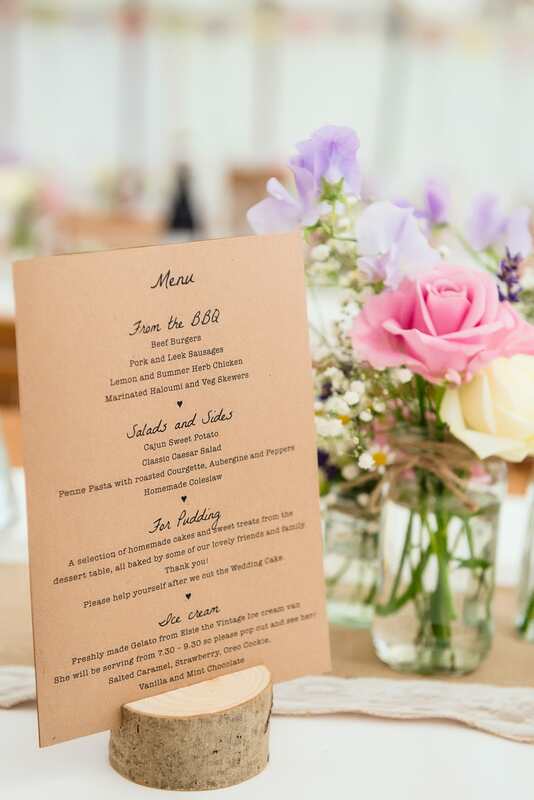 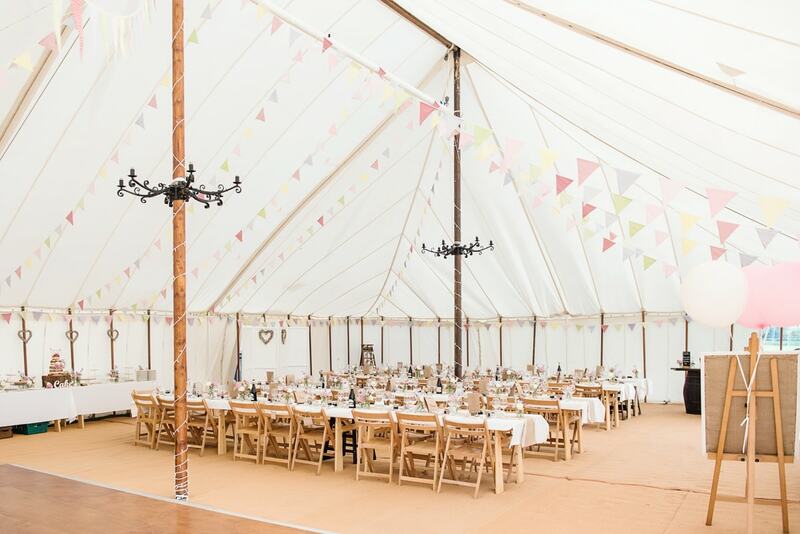 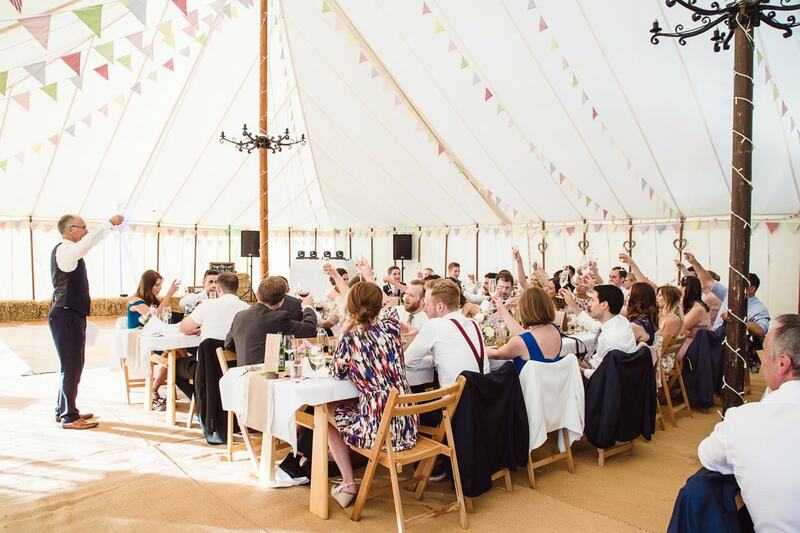 The wedding breakfast was a delicious barbecue in an immaculately decorated marquee. 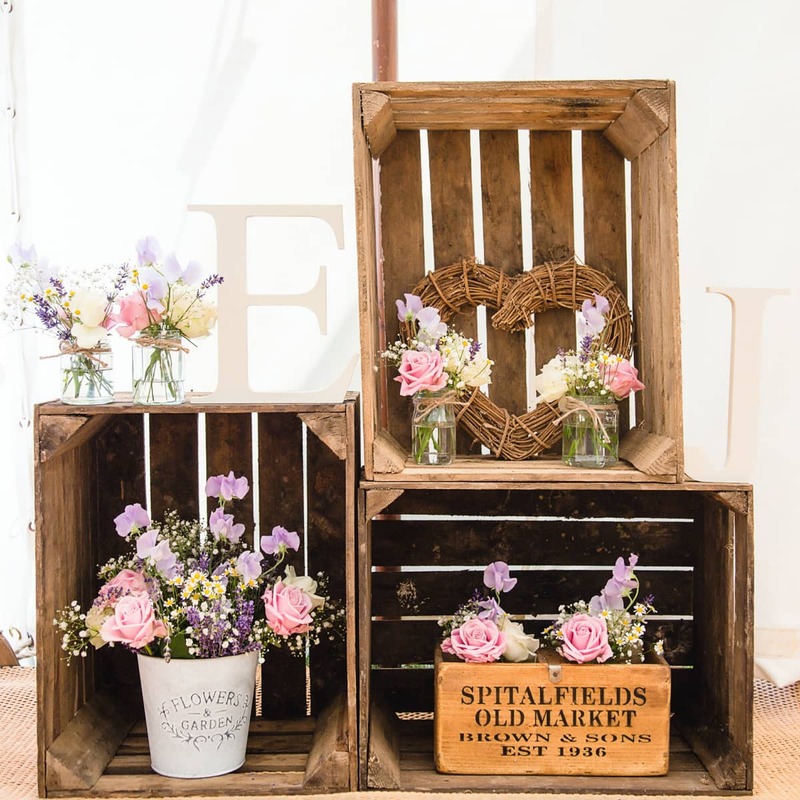 There were old vintage suitcases, tarnished watering cans and pretty vases of flowers displayed on rustic step ladders. 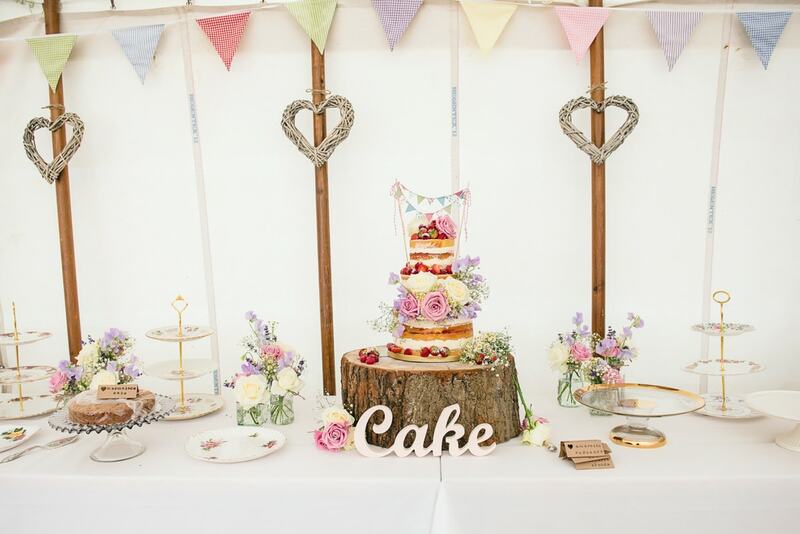 Bails of hay lined the marquee to furnish it with seating areas for guests and a table piled high with tasty cakes provided guests with an array of delicious desserts. 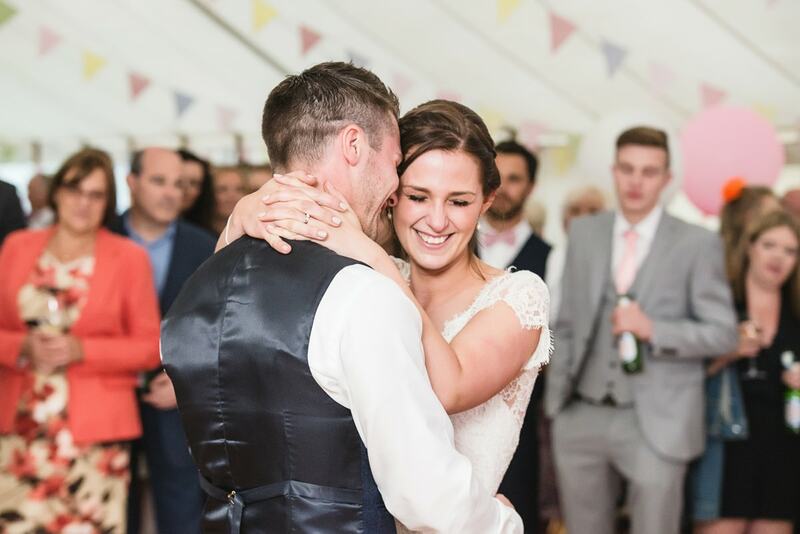 Some hilarious and heartfelt speeches followed along with the couples romantic first dance. 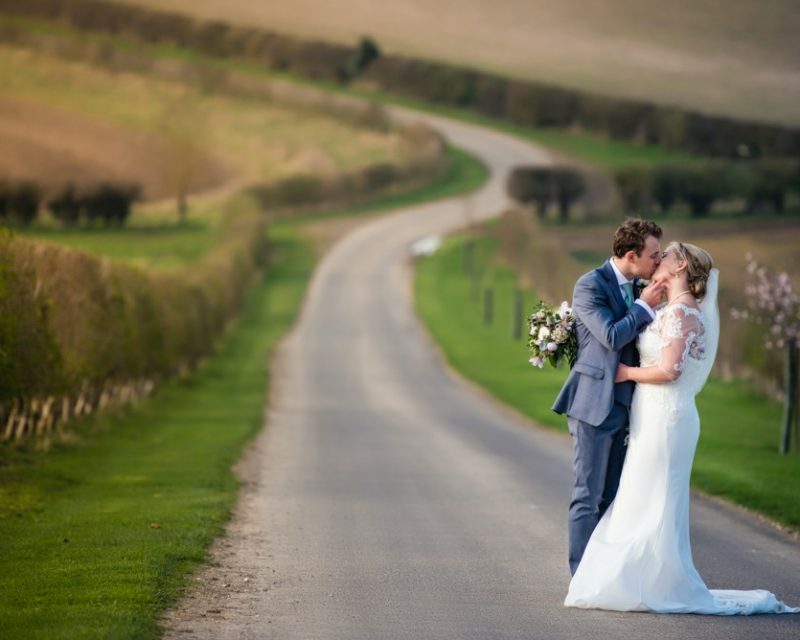 It was a real pleasure to photography Emma and Jon’s big day and I can’t wait to go back and photograph this venue!